Lessons in driving and life. I remember when I was a fresh new driver. No, I honestly do remember. I thought that accidents would never happen to me. I truly believed my driving was absolutely tip top and there was nothing to worry about. This was in the Eighties. Back then the driving test was nowhere near as difficult as it is now because driving was not as difficult. The roads were simpler, cars were slower and there weren’t nearly as many drivers on the road as there are today. So, what puts today’s young motorist at risk? Many things. Speeding and racing are two factors. Young drivers enjoying the thrill of acceleration and daydreaming they’re a racing pro make things unsafe. You should never drive in a spirit of competition unless you are actually on a race track. Using a mobile phone at the wheel is another one. When you look around and see just about everyone else doing it then it’s easy to think it’s alright for you. Easy to believe that it’s ok because it’s generally accepted. It isn’t and neither is texting at traffic lights. Yes, I’m looking at you. Looking for that certain track on your CD is another good one. While your twiddling the knobs and looking at the display you’re not watching the road. The car travels a surprisingly long way in the few seconds it takes you to select the track you like. It’s easy to have a lazy, carefree attitude when you’re comfortable and the sounds are on. Not really looking ahead for hazards is my personal bug bear. Staring at the next 30m of road you see over the bonnet simply won’t cut it. Look as far ahead as you can and move those eyes around to take everything in. Train yourself to do this especially at night. There are fewer cars on the road at night but things are easily missed until it’s too late. Get yourself some glasses if you think you need them. Research shows that young drivers believe that they are less at risk of negative driving experiences than more experienced drivers. Probably because it hasn’t happened yet. I couldn’t believe my first prang. How could this happen to me? The benefits of taking a risk such as saving time or enjoying the excitement outweigh the risk factors more in new drivers. Life is long and getting somewhere a couple of minutes later won’t make much difference. If you’ve got to be on time then make sure you set off early enough. It’s all about the right attitude when you’re in the driver’s seat. I believed I was one of the truly great drivers when I first started. Over estimating your own abilities can be deadly. Truth is you are not an expert. 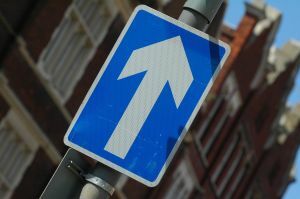 Thinking you can control the traffic situation is a common misunderstanding. You should never put yourself in a position where your safety relies on someone else. Try to anticipate what will happen next based on what you can see. Not on what you believe another driver will do. Never drive faster than you are comfortable with as your car control skills will take a certain length of time to develop. ‘You learn to drive when you’ve passed your test’ is a common myth. The stuff your driving instructor taught you is not something to just forget once you have your licence. Personal experience does count for a lot in driving. When you have just started out on your own you don’t have that experience. Remember what you learned during your driving lessons and put it into practice. Everything else will develop in time. Forget what you’ve been taught and the risk factor is sky high. This is a reason for the high accident rate amongst young drivers and leads to penalty points on your driving licence. Driving is such a personal experience. People tend to drive according to their personality. The driver who is all me me me will be the one jumping from lane to lane trying to force their way to the front of the queue. A disregard for authority in general makes breaking the rules of the road seem much less of a risk than it is. The safe driver will exercise self control and a regard for the safety of others. This will be shown in their driving style. The hot head who doesn’t take any kind of responsibility for their actions in life is someone to avoid out there on the road. So there. Try not to over estimate your abilities and think you have some magical aura which protects you from harm. Be a nice person to those around you. Peer pressure to do the wrong thing can be hard to resist, but resist you must. Set a good example and others will learn from you. Keep it safe and smooth. Telematics is all the rage at the moment. Used as part of a package of measures to help bring down the accident rate for young drivers. 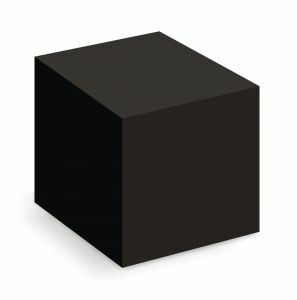 It is also know as the Black Box and believe it or not it really is black. Let’s have a look at what this technology does and if it really will help make the roads safer for new drivers. The word telematics is a blending of telecommunications and infomatics. The new word is mostly used to describe the technology used to monitor how a car is driven mainly for insurance purposes. This kind of technology has been used to track parcels being delivered around the globe and even to monitor the performance of racing cars. The use of this technology by insurance companies to monitor the way a car is driven is now becoming more widespread. Information gathered by the black box is analysed and the level of risk presented by the driving style can then be used to calculate insurance premiums. The lower the calculated risk, the lower the insurance premium, or the greater the cashback offered. It gives young drivers a financial incentive to drive more carefully and avoid harsh acceleration and braking. This style of driving will also save money on fuel as well. The black box is wired in behind the dashboard where many of the electrics are. It’s out of the way and in a pretty safe place. Power is drawn when the engine is running so it won’t flatten the battery when the engine is switched off. A roaming sim card finds the strongest mobile network to send the information back to base where it is collected and analysed. For this to be of any long term use to the driver there would need to be some sort of assessment and re training in the problem areas shown by the data. This would be an ideal opportunity to improve driving skills and make for a safer motorist. If something is learned we could consider it an excellent use of technology. A GPS sensor knows where the car is being driven and the speed limits for those roads. From this it can be determined whether the car was being driven within the posted speed limits. Keeping within the speed limits would obviously give you a better score. If drivers took note of speed limit signs and made the decision to obey them there would be no need to monitor drivers at all. It cannot, however, measure inappropriate speed which is a major cause of accidents. 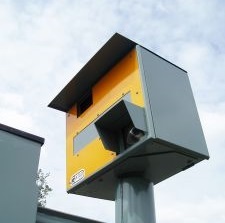 Driving within the speed limit on a busy road with pedestrians around might not be safe but would not be flagged up by the black box. 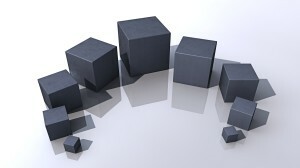 After all, the black box cannot see what the driver can see. I feel this technology is intrusive and detracts from the freedom of driving. With freedom comes responsibility and it is up to drivers to act responsibly when behind the wheel. Safety measures are usually a response to a need and there is obviously a case for monitoring young drivers. I believe that better traffic education from an earlier age would do away with the need to monitor individuals so closely.